If you’re curious about the prospects of the Low-Profit Limited Liability Company (L3C) business entity for arts and cultural enterprise, and you’re in or near New York on November 16, then get thee to Columbia University between 2:00 and 6:00 pm. I’ll be moderating an afternoon symposium on that very topic featuring many of the experts on the form and its potential. The event is being produced by Michael DiFonzo, an enterprising master’s student in Columbia University School of the Arts’ M.F.A. Theatre Management and Producing Program, sponsored and supported by Columbia University School of the Arts, Columbia Law School, Kernochan Center for Law, Media and the Arts, TDF / Theatre Development Fund, and The Off-Broadway League. 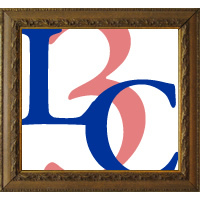 The L3C is a hot topic these days, in the arts and elsewhere, because it embodies the search for new business models, and it explores the space between full-on commercial ventures and non-profit efforts organized as public charities. If you want the basics of what an L3C is and does, Attorney Marc J. Lane has written a handy overview in plain language (PDF) that’s worth a read. Hope to see you in New York in November!